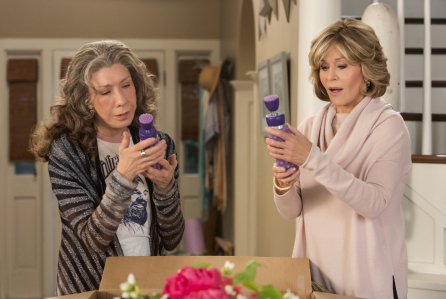 Netflix Original Series Grace and Frankie is back with its Third Season: Care to Taste? Whoever geniuses choose contents for the revolutionary online platform NETFLIX know how to innovate the series’ world and decided that the time was definitely come to entice the appetite of a more mature audience. Therefore, they took the risk to forget about all those surveys considering 18-49 viewers’ choices and followed their guts producing a show tasty for the over 50: GRACE AND FRANKIE. Of course, from the very beginning they knew they could count on a multiple starred menu…the creator of the show is MARTA KAUFMANN, renown for creating the cult sitcom Friends, while the main cast includes iconic JANE FONDA, comic queen LILY TOMLIN and super versatile MARTIN SHEEN. Moreover, the premise of the plot is extremely contemporary. During a quite overheated dinner our protagonists’ husbands, associates in a law firm, confess to the unsuspecting wives to be gay and to have been in a relationship for the last 20 years…their only dream is finally get married. Even if the two women have a totally different character, Grace is a super chic former beauty entrepreneur while Frankie an hippy artist, they have to accept to be alone in the last years of their lives and choose to move in together and support one another in building a new life for themselves. 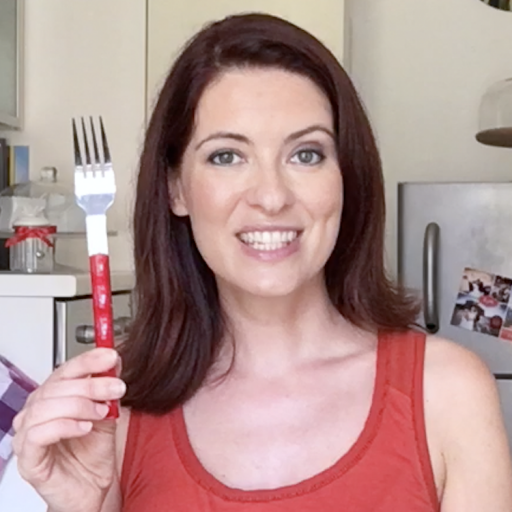 Food and the Series ideas! 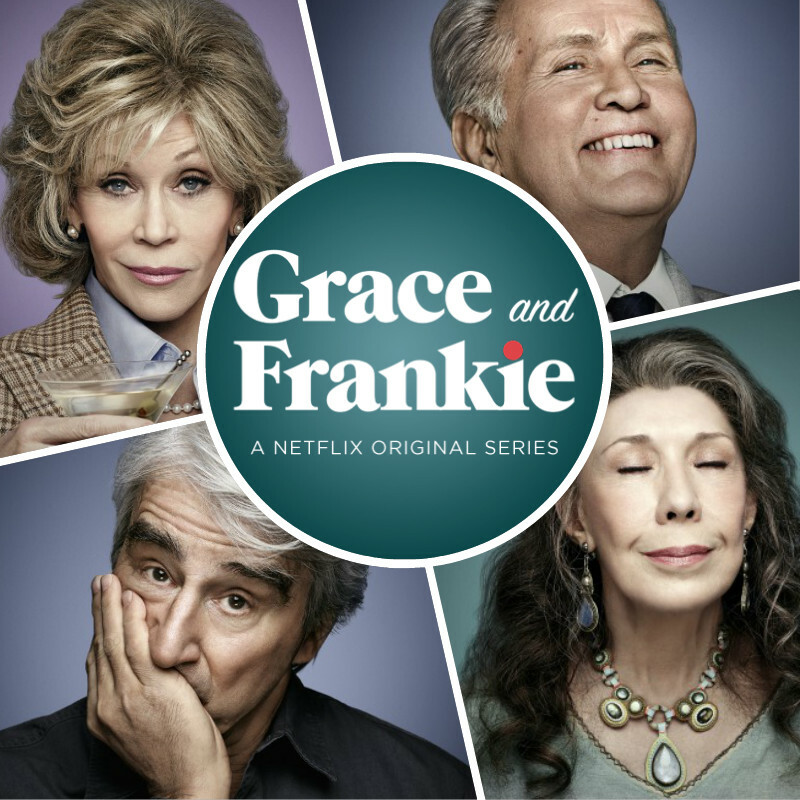 Each difference between the two friends/enemies/roommates/business partners Grace and Frankie becomes food for comedy starting from their eating habits: Grace has a mainly “liquid” diet composed of vodka martinis while Frankie digs on sweets and junk food. 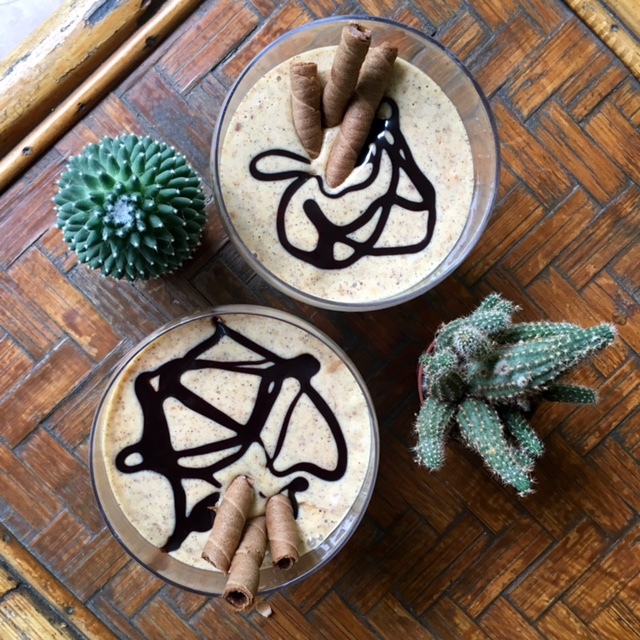 To please them both I found the recipe of a SEMIFREDDO WITH AMARETTI, MASCARPONE CHEESE AND VODKA…with the add of little coffee because in a marriage you always have to keep your eyes open! 1/2 cup of granulated sugar, 6oz of amaretti, 3/4 cup of mascarpone cheese, 4 yolks, 1/2 glass of vodka, 1 teaspoon of coffee powder, chocolate cookies and chocolate sauce for decoration. Mix the yolks and 2/3 of the sugar with a fork then add the vodka. Put aside and, in another bowl, mix the mascarpone cheese with the remaining sugar and the crumbled amaretti. Put everything in the same bowl adding also a teaspoon of ground coffee. Pour in serving cups and put in freezer for at least two hours. Serve with chocolate cookies and chocolate sauce.